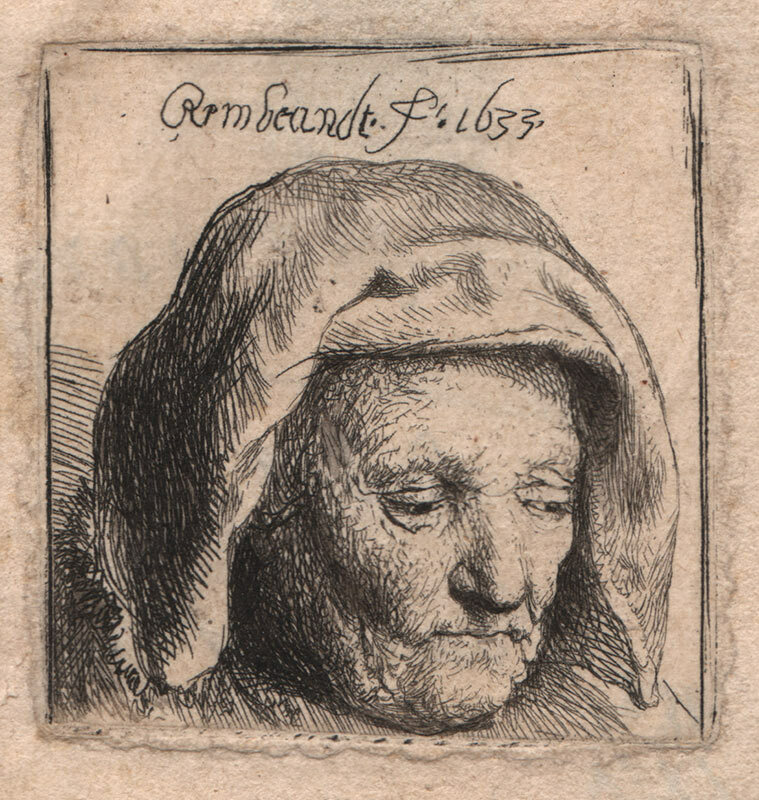 Rembrandt Harmensz van Rijn, The artist's mother in a cloth headdress, looking down: head only, 1633. Gift of Mr. Cloud Wampler. Syracuse University Art Collection. Image courtesy of the Syracuse University Art Galleries. Rembrandt is generally considered to be one of the most important figures in western art history. He is known for his exploration of the personality and moods of his subjects, as well as for his wide-ranging subject matter, prolific output, and influence on other artists. This exhibition, on loan from Syracuse University Art Galleries, presents Rembrandt’s prints alongside those of fifteen of his contemporaries. Organized thematically to feature landscapes, scenes of daily life, portraits, and religious subjects, the exhibition encourages visitors to discover the similarities, differences, and technical achievements of these talented artists.